What is a music career guidance platform? Well, if you were to ask me, I would say it’s a little like Quora for the music industry. If you aren’t familiar with Quora, it’s a place where people go to ask questions on a variety of topics, and in some cases, get personalized answers. And that’s what LaunchDon offers musicians – a platform they can utilize, not just to get generic answers on various music career challenges, but to receive responses that pertain directly to their career and present situation (it’s also why I offer personal coaching). This is a business idea I’ve explored and thought about myself, which is why I’m excited about it. 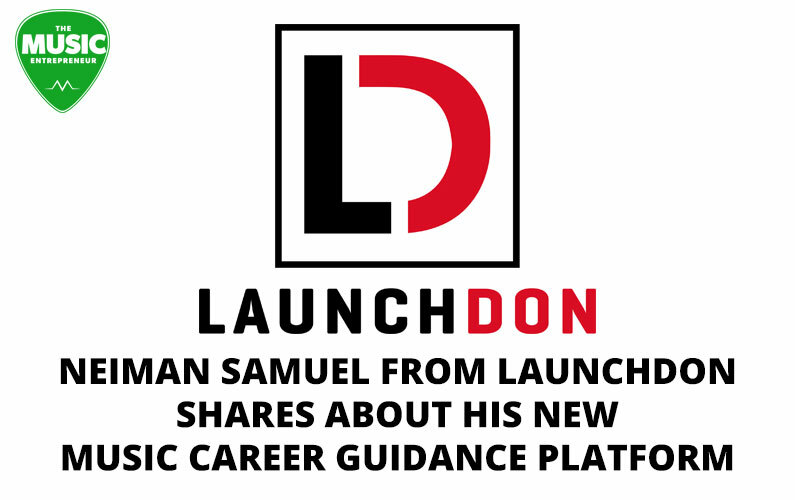 Here’s Neiman Samuel from LaunchDon to fill us in on what this new site is all about. My name is Neiman Samuel, I am CEO and Co-Founder of Launchdon.com. I am a talent manager and music business consultant. 2. What is LaunchDon? Why do you think it’s important for today’s musician? LaunchDon is a career guidance platform for the music industry. With the music industry being as jammed packed as it is, there are new acts popping up every day. The majority of these musicians know nothing about the music industry. LaunchDon is here to change that. 3. What inspired you to create LaunchDon? I have been around the music industry my entire life, and was there when the digital wave took over the music industry. I saw a lot of lost artists not knowing what to do to have a chance at success – seeing artists work their tails off to go nowhere all because they did not have a sense of direction. I knew I could offer a compass to those struggling artists. That’s why we created LaunchDon. 4. How will LaunchDon solve the challenges typically encountered by musicians? Thanks to Neiman and Rudy Sutherland from LaunchDon for helping me put this together and for answering my questions. I hope you enjoyed this quick interview, and got a good sense of what LaunchDon is about. If you enjoyed this interview, please take a moment to thank LaunchDon on Twitter: @LaunchDon.